Johns Run/Walk Shop - Melody and the entire team have been amazing supporters. They donated so much for our top awards and helped facilitate a couple training runs this winter. So much to thank this amazing local shop for! Topo Athletic- Mike was able to come through and donate a couple Topo shoes for our awards and some other various supplies. Big shout out to Mike and team! Adidas - Devo stocked us up with a large amount of Adidas gear for our participants and we look forward to working with them again in the future! J&H Lanmark Store - Of course need to give a shout out to our local outdoors store in Lexington. Jim and the rest of the team have been nothing but supportive of us and trail running around our state. Territory Run Co. - Brett is a great connection to have and we love all his gear and we know our finalists appreciate everything he sends us! 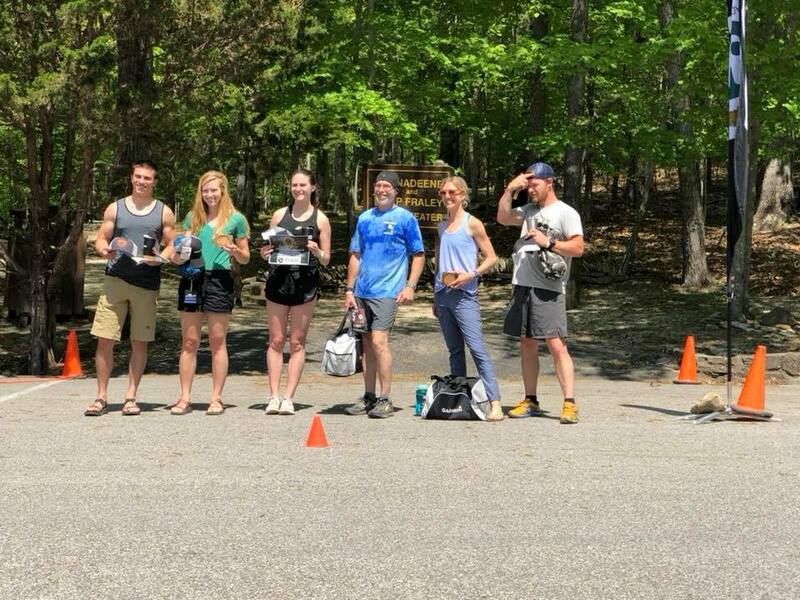 Sheltowee Hammock Company - Not only did Alex donate a couple hammocks for both our 1/2 marathon and 10k, but he actually came out and was in the group of top finishers! Great knowing Alex and look forward to doing more with him again in the future! Ben Childers - Ben is an incredible drone operator and videographer. Everyone must check out our recap video if you haven't already seen it yet to see some of the amazing footage he captured. Summer Wofford - Summer did timing for our event and we have to admit if we didn't have her it would be chaos. She is perfect for handling the timing so we don't have to! West Sixth Brewing - Ben, Brady, Joe, Robin and the entire staff at this Lexington brewery and fantastic. They have supported us from the very beginning and we can not say enough good stuff about this organization. Local EMT - Mike and partner were on standby and luckily we did not have to use their service but we are so grateful to have them there. KY State Parks - Diane has been amazing to work with and realize we couldn't do this without her. We also need to give a big shout out to Chris, Tina, and Coy. It was great working with these three and their staff at the State Park. They were constantly going above and beyond to make this such a successful event. Chris (state park director) even shuttled our runners on race day! Logan Hensley - Everyone probably ran past Logan while in the backcountry as he was grabbing photos as everyone was crossing the suspension bridge. It was also nice hanging out with Logan for the weekend and hope he will come back out and join us again! Astral - Julie and Astral team gave us some great discounts and we hope to do more with them in the future. Lakeside Woodworks - These guys designed the bourbon coaster awards made out of Buffalo Trace bourbon barrels for our top finishers. We look forward to doing more cool stuff with these guys! Keeneland - This place is amazing and there are so many people to thank here so I am just going to make a general shout out! 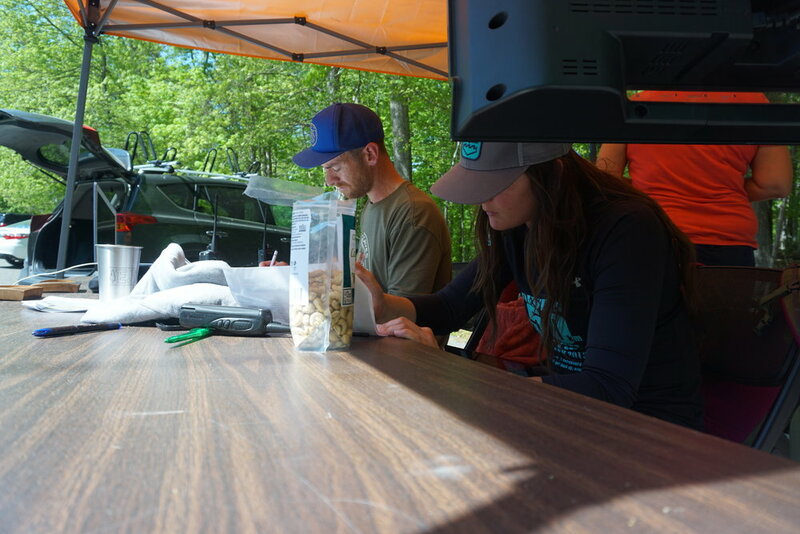 Volunteers - Ryan, Amy, Lauren, Lori, Doug, Laurette, Don, Carla, Tom, Soc, Wanda, Anita, Pam, Wendy, John, Will S. and Will H. (who shot some video footage for us while also working at an aid station). All of you played such a big part in making this day happen and realize none of this could happen without you all!! Wife and Daughter - These are the two most beautiful women in the world and they do not get nearly enough credit. We are a very busy family as it is and the fact that they let me pursue one of my passions and organize a couple trail runs throughout the year, just proves that I am the luckiest man alive. Riah is such a humble person and she is truly the backbone to this entire venture. Next time you see her or my daughter at an event, be sure to thank them and not me. I do spend a lot of time on these courses but she is the one back home working so hard in various ways. I am so excited to spend many weeks with them before even thinking about anymore work to be done on some trails for a while. I love them so much and they are the ones that I need to thank over everyone else. Alright, now on to the race day recap! When planning started for this race about a year ago, I knew I wanted this to be a very small and intimate event. Carter Caves State Park often gets overlooked because of another State Park down the road called Natural Bridge (or many others know it as Red River Gorge). It's getting to the point where you can not go to "The Red" on a weekend without seeing hundreds of other people anymore. This beautiful part of our state was starting to lose some of the peace and tranquility I grew up loving about it in my youth. It always amazed me that I could be out at Carter Caves on a gorgeous fall day and not see a single other person out on the trails. Especially since Carter Caves has everything the Red River Gorge has to offer and possibly even more. 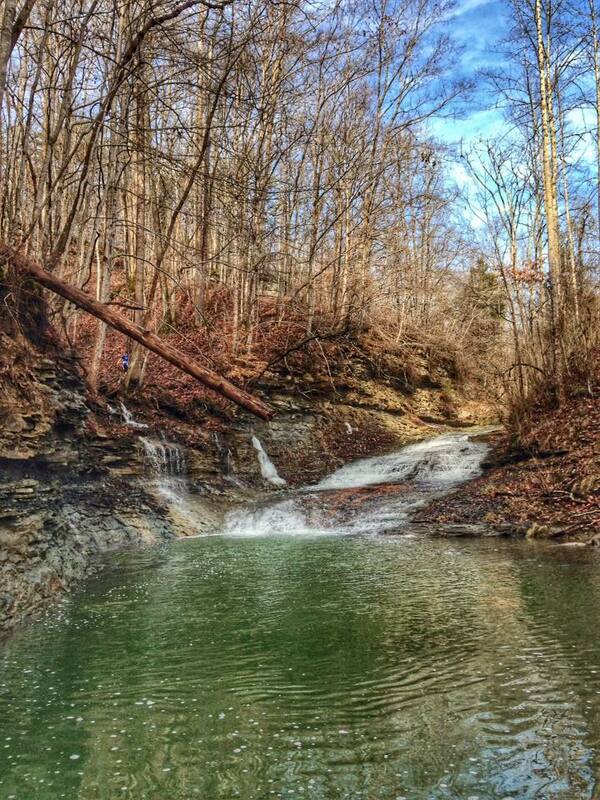 So with this Half Marathon I hope to show some of my closest trail running friends how beautiful this #bestkeptsecretinkentucky is and continue to improve the trails with this event. It was an absolutely beautiful morning on May 12th, 2018. We were a little rushed to start at our normal 7am time but somehow we were able to do it. I was expecting to have some down time before the first set of runners started getting back to the finish line but sure enough our 10K runners were making their way back much earlier then I had anticipated. By the time the 10K runners were all off the course, temperatures were in the 80's. Luckily, most everyone stayed well hydrated and injuries were minor which always makes an event seem to run much smoother. Everyone did fantastic at this years event and all made it back under the 6 hour cutoff time. There are always things we can do to improve on our end of race directing but all the participants were so positive that if we do another event next year, we will most likely extend an invitation to everyone that came out for our inaugural event before we open it up to the rest of the public. There are some factors with trail running that no matter how much planning you do, mother nature can always humble you. One week before race day we experienced a high volume of rain which made for some very sketchy creek crossings. We were very fortunate to have good weather and get everyone back to home base safely on race day. However, it was brought to our attention that there is one specific water crossing that desperately needs a bridge. The spillway at the dam where runners were instructed to "follow the yellow and black ribbons" needs a bridge badly. We hope to work with State Park officials and put funds from this years event to installing a bridge at this spot. We also hope to improve the trail systems and continue to make this a top trail running destination. We can not say enough good things about Coy Ainsley and his team for constantly maintaining these trails before our race day. Like we said before, we want to make improvements to this State Park but we always want to keep this event small and intimate. Carter Caves is truly a hidden gem. It should be no surprise by now that we are very passion about our public lands and the environment. We have decided to make Kentucky our home and after spending many years abroad, we want to bring back what we have come away with from other cultures and apply those insights to improving our own surrounding communities. We like to use trail running as a tool to help clean up places in Kentucky that may get overlooked within our current administration. We are truly a grass-roots organization and always want to keep it that way. Not sure what will happen with the Carter Caves Half Marathon event. We've already had quite a few people say they would come back in 2019 if we do it again. After these events, all I really want to do is hang out with my family, friends, and simply go run in some other amazing events in this region. Thank you again for everyones support and time you have invested into making our inaugural Carter Caves Half Marathon such a good one. Hope everyone has a great summer and to see a few of you around town and maybe even at Moonbow in September!